SquareTrade®, the #1-rated protection plan trusted by millions of happy customers, today released the results of its annual Clumsiest States Index. 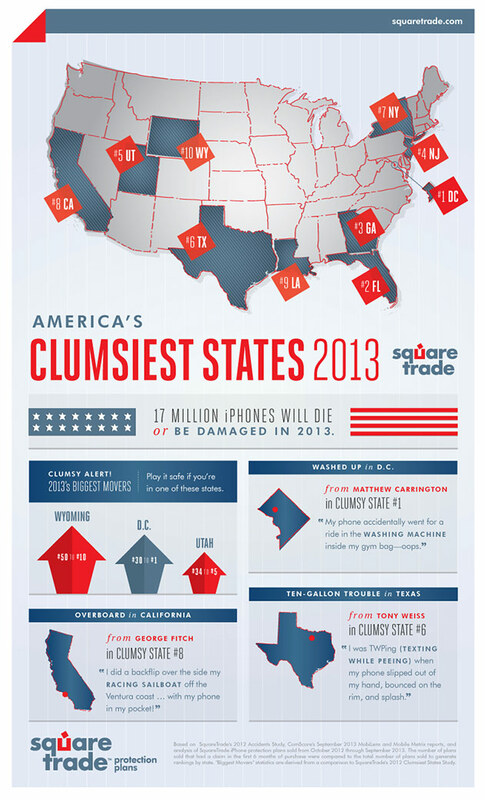 The Index reveals how states fare year over year when it comes to their citizens’ rate of iPhone accidents and damage. The Index is based on claims filed by state between October 1, 2012 and September 30, 2013.